"These are wheat free, dairy free, low sugar, low fat muffins and you'd never know it. Sucant is dried can juice. It can be found in health food stores. If you don't eat them in the first two days, freeze them. 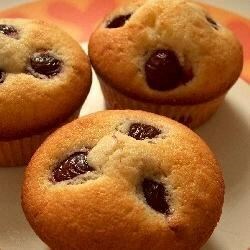 Thaw in microwave for 30 seconds apiece and they will taste freshly baked." I was really excited to try this recipe, but it didn't perform well. It was dense and bland. Maybe it needs more sweetener? It definiely tasted low fat, low sugar. I am so glad to have found this recipe. This recipe is delicious. I included a teaspoon of baking powder in this recipe.